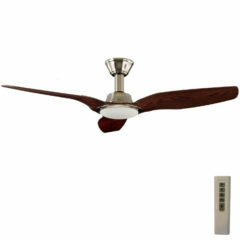 The Trident ceiling fan by Aeroblade has a Whisper Quiet DC motor and a modern design with three natural timber blades. It is extremely energy efficient and also comes with a remote control with six selectable speeds. This provides a great degree of control over the airflow. 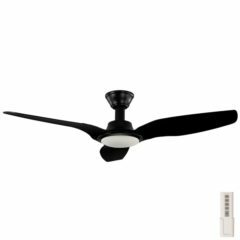 The Trident is an energy efficient ceiling fan with a durable, whisper quiet 25.9 watt DC motor and produces excellent airflow reaching a maximum of 16,846 m3/hr at top speed. 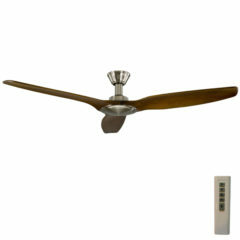 Aeroblade’s Trident has three natural timber blades and a 6 speed remote control. As it has a black motor this fan is IP23 rated, making it suitable for installation indoors and outdoors in a covered area. The Trident DC is reversible for summer and winter uses. 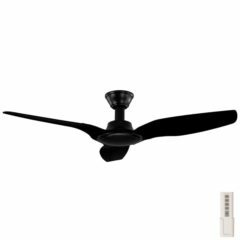 This Aeroblade Extension rod is suitable for the Trident ceiling range and are used to lower the ceiling fan to a specific height needed. 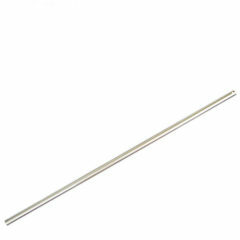 The extension rods are available in 90cm length and can be cut to size by the installer. 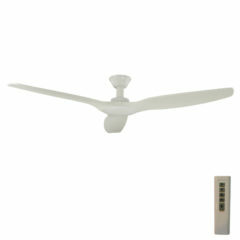 The Trident by Aeroblade is a new Whisper Quiet DC motor ceiling fan with three ABS plastic blades. The Trident comes with a 24 watt LED light and the options of either warm white (3000k and 1836 lumens) or cool white (5000k and 1890 lumens). 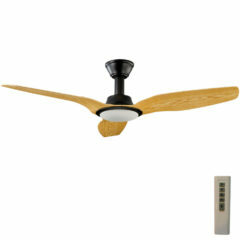 The fan also comes with a remote control and has six selectable speeds, which provides a great degree of control. The Trident by Aeroblade is a new Whisper Quiet DC motor ceiling fan with three natural timber blades. The Trident comes with a 24 watt LED light and the options of either warm white (3000k and 1836 lumens) or cool white (5000k and 1890 lumens). 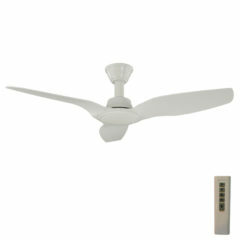 The fan also comes with a remote control and has six selectable speeds, which provides a great degree of control. 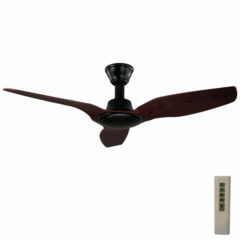 The Trident by Aeroblade is a new Whisper Quiet DC motor ceiling fan with three timber blades. The Trident comes with a 24 watt LED light and the options of either warm white (3000k and 1836 lumens) or cool white (5000k and 1890 lumens). 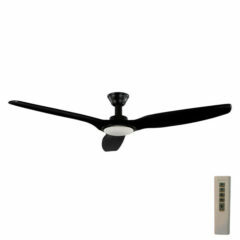 The fan also comes with a remote control and has six selectable speeds, which provides a great degree of control. The Trident by Aeroblade is a new Whisper Quiet DC motor ceiling fan with three natural timber. The Trident comes with a 24 watt LED light and the options of either warm white (3000k and 1836 lumens) or cool white (5000k and 1890 lumens). The fan also comes with a remote control and has six selectable speeds, which provides a great degree of control. 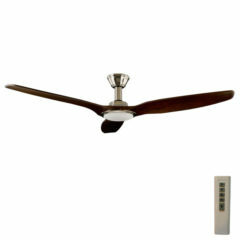 The Trident ceiling fan by Aeroblade has a Whisper Quiet DC motor and a modern design with three ABS plastic blades. 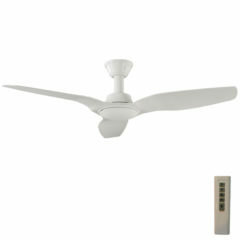 It is extremely energy efficient and also comes with a remote control with six selectable speeds. This provides a great degree of control over the airflow. 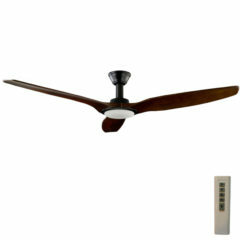 Awesome product, fans look amazing are whisper quiet and have zero wobble regardless of speed selected!